Skye Gravestones | Kenneth & Margaret Macleod, Christina & Margaret. Kenneth & Margaret Macleod, Christina & Margaret. 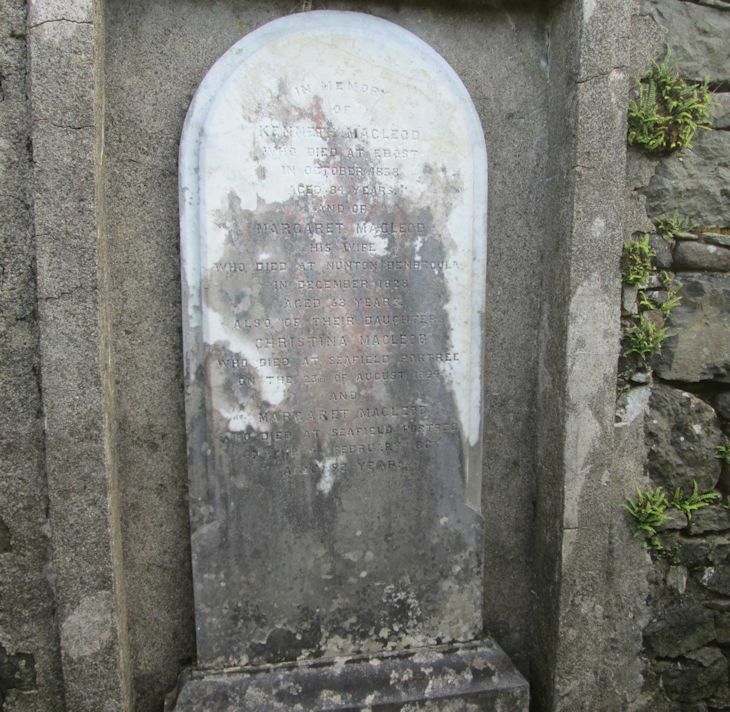 In memory/of/KENNETH MACLEOD/who died at Ebost/in October 1838/aged 84 years/and of/MARGARET MACLEOD/his wife/who died at Nunton, Benbecula/in December 1828/aged 68 years/also of their daughters/CHRISTINA MACLEOD/who died at Seafield Portree/on the 23rd of August 1894/and/MARGARET MACLEOD/who died at Seafield Portree/the 28th February 1886/aged 92 years.